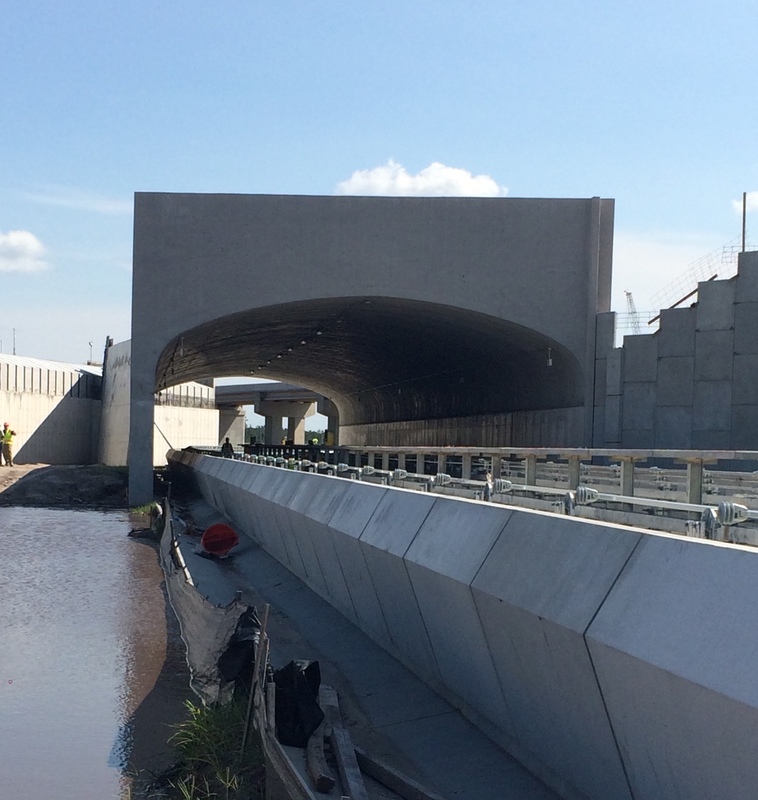 When Orlando International Airport needed to expand their complex underpass tunnels, they turned to Tindall to develop the perfect precast solution. Involved since the early stages of the project, Tindall was responsible for designing, engineering, fabricating, and delivering the series of over 150 precast concrete arches used for this project. Each of the arches was 12’ tall and ranged from 38’ to 48’ in length. Tindall’s large facility allowed Hensel Phelps to safely store materials off-site during inclement weather, as well as adjust delivery schedules to meet changing site requirements. But, on top of the usual difficulties of harsh weather and tight deadlines, Tindall faced an additional challenge with this construction. Two of the three bridges had curved foundations. This meant that precision was crucial in every pour. Tindall took on the task, working closely with the engineer and contractor to make the project successful. Tindall also accepted a request to design and engineer a cast-in-place headwall, which was constructed on top of the tunnels. Tindall exceeded the project milestone goals in relation to fabrication and delivery by providing routine fabrication updates, as well as adjusting delivery schedules. This ensured that materials consistently arrived first thing in the morning during the course of the project. Tindall was also quick to offer assistance with installation, with team members visiting the construction site three separate times during Hensel Phelps’ installation of the arches.